Word problems + fractions = a lot of struggle for many students. 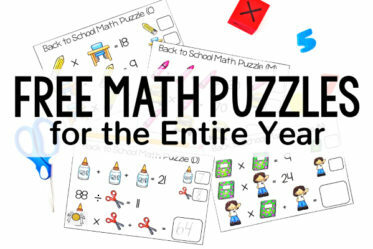 Especially when you throw in new concepts like multiplying and dividing fractions. Those fraction word problems are always pretty tricky for my students. The first year that I taught multiplying and dividing fractions, I really had to spend some time breaking down the concepts myself in order to best help my students. 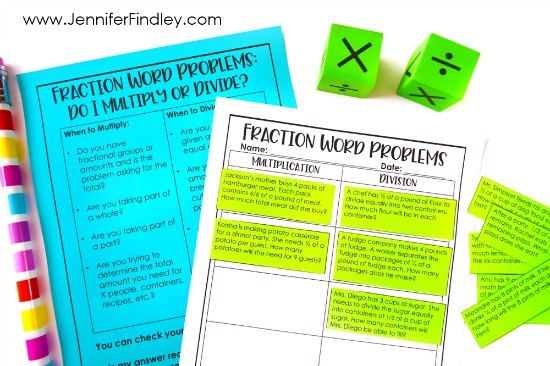 On this post, I will share an anchor chart and a free word problem sort that helps my students solve these types of fraction word problems and see the difference/connection between the two. Note: This is based on 5th grade standards and focuses only on multiplying fractions less than 1 and dividing with unit fractions and whole numbers. 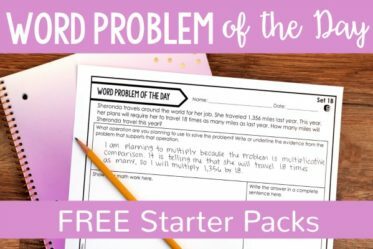 Click here to grab some free printables to help your students with solving word problems involving multiplying mixed numbers. Before even beginning with word problems, I always introduce multiplying and dividing fractions (separately) with a context/situation. And then we work through the situation and solve the problem/ answer the question using models. 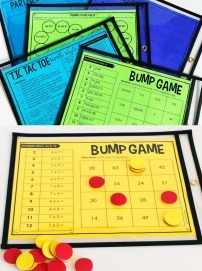 This really helps the students conceptually understand the operations. When students are only exposed to algorithms, they may not fully understand the operation. As a result, they will struggle with choosing the correct operations when solving word problems. Here are my go-to introductory word problems for when I first introduce multiplying and dividing fractions (again I introduce each one separately). I prefer to use fudge for all of my introductory word problems because I love fudge, my students love it, the contexts make sense and are relatable, and it is almost an inside joke between us by the middle of the year. I also use student names or teacher names in the problems whenever possible and friendly fractions for easy modeling and visualizing. Multiplying Fractions Introductory Word Problem: While shopping at a bakery, Ms. Findley purchased 1/2 of a pound of chocolate fudge. After dinner that night, she ate 1/4 of the chocolate fudge that she bought. How much of a pound of fudge did Ms. Findley eat? Dividing Fractions Introductory Word Problem: Jamal’s mother made 1/3 of a pound of his favorite fudge, peanut butter caramel fudge. She divided the fudge into 4 equal containers. How much fudge did she put in each container? Read the word problem once (myself or a student). Have the students retell the problem with partners in their own words. Have a few students share their retellings with the class. 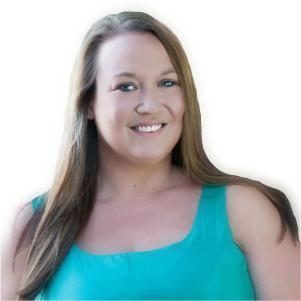 Focus on what the question is asking by writing the question in a sentence. Use models to demonstrate the situation in the problem (since these are new concepts for them, this part is heavily teacher driven, but typically I prefer student driven). The students practice with models as well. This can be paper folding models, visual representation drawings, or both — my favorite is both in the beginning. Translate the visual into a labeled equation (read more about labeled equations here) and answer the question. Discuss the answer and determine if it makes sense. Practice similar/same situations but with different numbers. Reminder: I teach both of these concepts separately for about a week each. Fraction Word Problems: Do I Divide or Multiply? Once my students have “mastered” multiplying and dividing fractions and have seen each in a variety of contexts (through the word problems I use), they are ready to tackle both and see the connections and differences between the two. 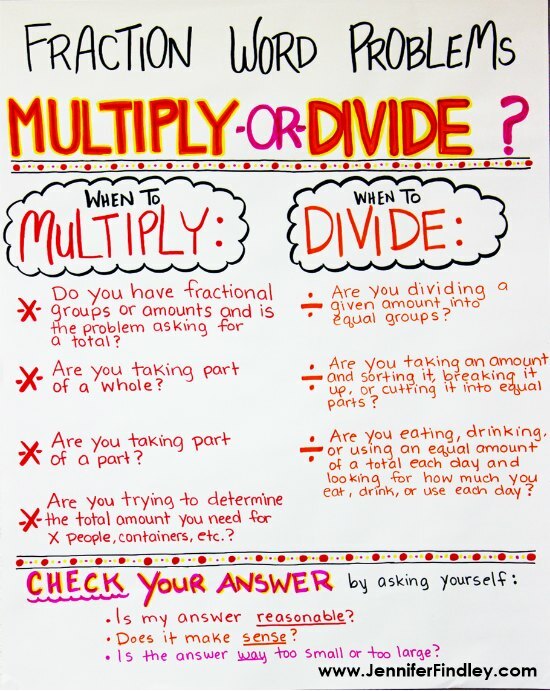 To do this, I use this anchor chart to show some of the situations and contexts that require multiplication and division of fractions. We discuss each one and how it relates back to multiplication and division. My students then use this chart (and the printable version I provide – available for free in the next section) to support them as they solve word problems. They read the word problem and then check the chart for a matching situation. Since it is impossible to expose students to every type of situation and context, the blurb at the end of the chart is key. The students really need to make a habit of checking to see if their answers make sense. This will help them if they choose the wrong operation. In addition to the above anchor chart, we also do a word problem sort. The word problems were specifically written to match the contexts from the chart so this is a great extension of the lesson involving the anchor chart. The students read the word problems, check the chart, and then sort them accordingly. 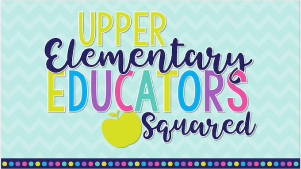 I do this activity with partners or small groups (pulling a group to work with me that may struggle based on previous assessments using exit slips), but this could also be done as a math center activity. 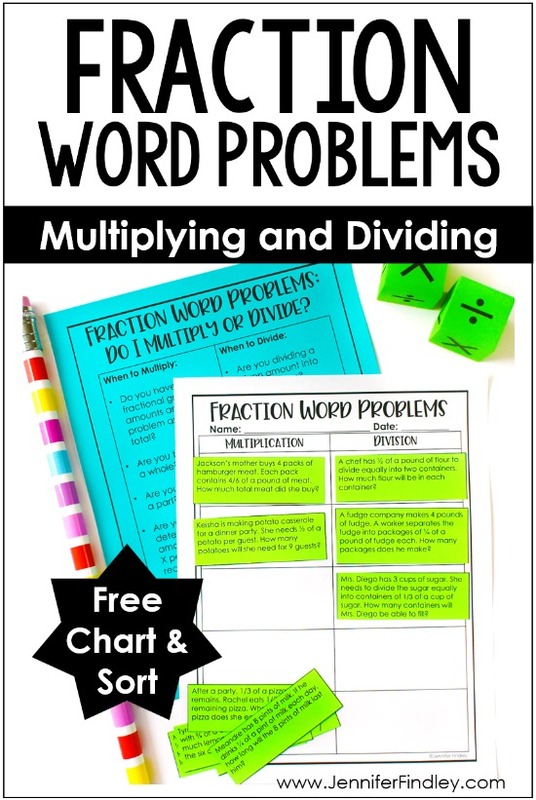 Click here or on the image above to download the multiplying and dividing fractions word problem sort and a printable version of the anchor chart. The anchor chart and the sort are used after I have introduced and we have practiced both operations in isolation. I do this by using resources from my Multiplying and Dividing Fractions resource. 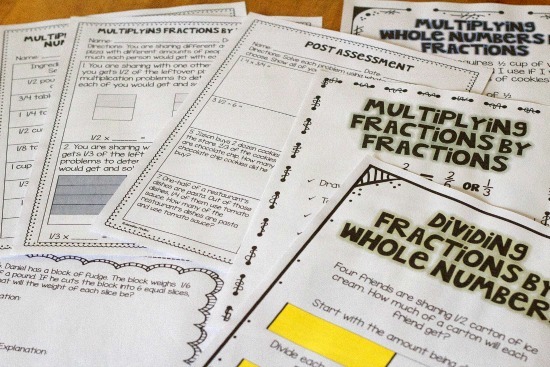 Click here to purchase the Multiplying and Dividing Fractions Resource from my TPT store. 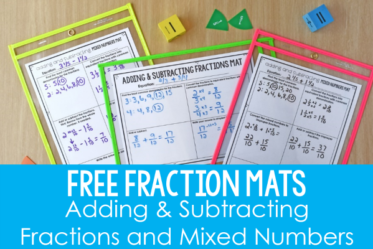 Free Fraction Mats: I use these free downloadable fraction mats to support my students further as they add and subtract fractions with unlike denominators. 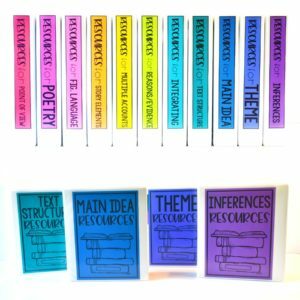 Free Fraction Pacing Guide: This blog post shares an “I Can” checklist for students and shares how I pace my 5th grade fraction skills. 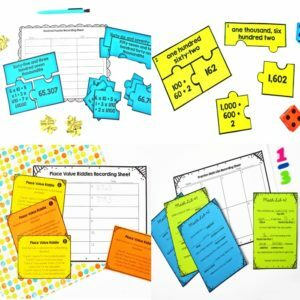 Free Fraction Fun with Snacks Printables: If you can use food in your instruction, your students will love reviewing fraction operations (multiplication and division) using Twizzlers, skittles, and brownies. 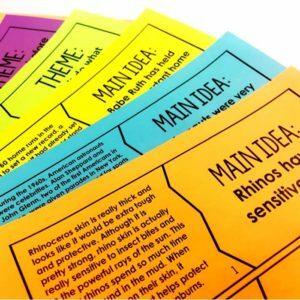 4 Ways to Teach Students to Make Common Denominators: Read about the four ways I teach my students to find common denominators and grab a free printable. 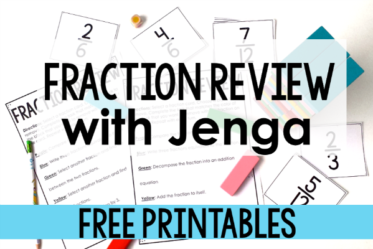 Free Fraction Activities: Grab some super easy to prep fraction activities on this post. 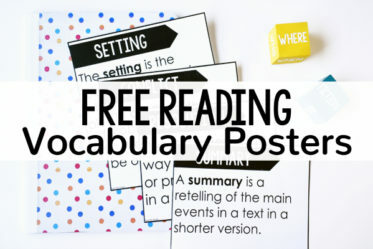 This is very helpful especially for new teachers. I really appreciate the free printables. I am teaching my daughter math and this is super helpful; thank you so much! !